The shock you feel when you’re told, “I’m sorry, but you have a spinal cord injury and will likely never walk again,” can be soul-crushing. Most everyone assumes a newly injured person immediately falls into a state of deep depression, but many instead find themselves in a state of shock. 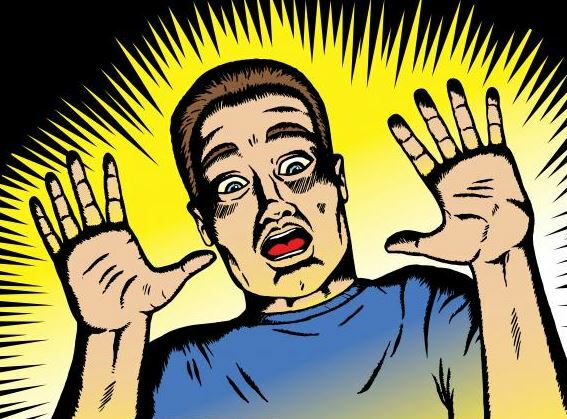 How do you cope with feeling shocked? There’s no universal answer to this question as we all have unique stories, personalities and support systems. With the help of other SCI survivors, we’ve put together a list of coping suggestions that we hope are useful during this transition. If you have any suggestions on coping that you would like to share, please send an email to spinalpedia@gmail.com. It may seem over-simplistic, but the power of meditation and prayer cannot be underestimated when dealing with a SCI. Paralysis is just as much physical as it is a mental challenge. Your physical paralysis can lead to subsequent mental “paralysis.” An example is someone giving up or choosing to isolate themselves from the world and people around them. The power of positive, clear-minded thoughts with meditation or prayer can help alleviate the shock of a SCI. Meditation requires a high-level of concentration and mindfulness allowing a person to gain perspectives on the importance of healing on the mind and the body. Religion requires deep connections with God and/or spiritual beliefs helping a person gain perspectives on coming to terms, understanding what this all means, why this happened and providing tools for healing. From peer support to the support of family and friends, comfort and emotional assistance plays a huge part in healing from the shock of a SCI. Whether your support system simply sits and listens, or offers advice from their own life perspectives, knowing people care and want to be present helps immensely. It is incredibly important to not push your supporters away, but rather keep them close. A SCI must be approached with a long-term focus by creating a strong ever-expanding support system. Supports can also be found at local rehab hospitals, community SCI groups, statewide SCI groups (United Spinal Chapters) or even on SPINALpedia.com. Connecting with the SCI community and peer support programs provides important connections with those that speak SCI and know what you’re going through. Learning from others in similar situations provides real-life examples of what’s possible and empowers a newly injured person to try something new. Since physical changes can fluctuate dramatically for different people with a SCI, it is important to challenge preconceived expectations of what your doctors and rehab professionals protect as your likely future. Challenging these expectations can be really empowering especially when you’re told something is not possible. Don’t settle for basic short-term target goals set in rehab. Create short-term, medium-term and long-term goals and be on a mission to accomplish these not matter the obstacles in your way. Dedicating your life during the first 2-5 years on strengthening your mind and body increases future independence and opportunities as well. Always challenge yourself and learn about exercise programs focused both above and below your level of injury (Restorative Therapy Activity Based Programs). All injuries are unique, with no two SCI’s ever being the same. Every SCI is a mystery of sort and with intense rehab from the start you will put yourself in the best possible position to heal and improve your life. It’s important to be patient with your body as its heals, especially during the first year of your injury. This is when your spinal cord system reboots itself, and many start to experience spasms by the end of the first year. This means that the nervous system is complicated and takes longer to heal than was previously assumed by doctors. The combination of persistence, patience & intense physical therapy is the best formula for success. Whatever you do, try not to let the shock of your injury overwhelm you. It may seem impossible, but with the right mindset – and with time – you can find a mental state that will help you heal and one you can happily reside in. What helped you overcome the shock of your injury? This entry was posted in Feature stories and tagged mental shock, overcoming shock, Restorative Therapy Activity Based Program, Spinal cord injury on July 26, 2017 by Tiffiny.